This week, we are expanding on our topic from last week on preparing for winter driving. At the end of that post, we talked a little about chain laws. 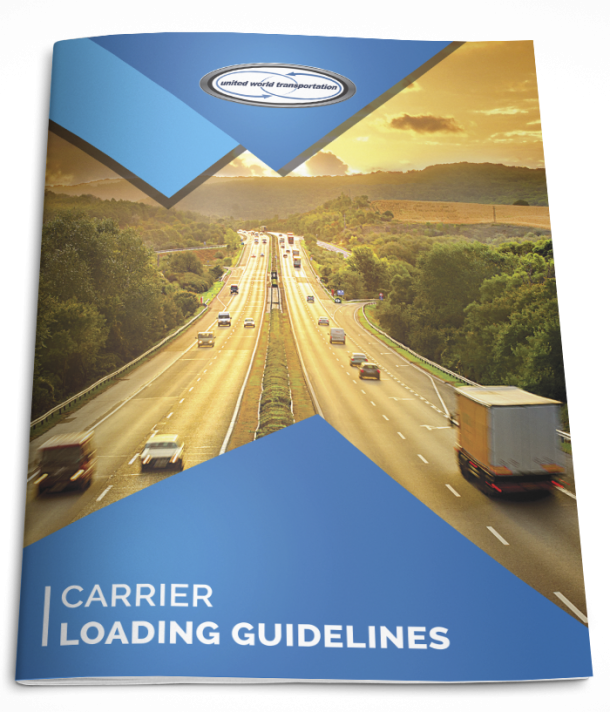 Today we will go over a short state-by-state guide that’s been put together with reference to Land Line Magazine and the Owner-Operator Independent Drivers Association. It provides a state-by-state breakdown of chain laws around the country. CA does not require trucks to carry chains during any specified time period. When the weather hits, it takes at least eight chains for a standard tractor-trailer configuration to comply with the regulations. Conventional tire chains and cable chains, as well as other less conventional devices such as “Spikes Spiders,” are permitted. Trucks with cable-type chains are legal, but may be restricted at times if severe conditions are occurring ; this happens frequently in the higher elevations such as Donner Pass. Automatic chaining systems are permitted in the state; however, you may still be required to add additional “traditional” chains to fully comply with the placement requirements. Placement: 4 chains must be on all four tires of the main drive axle. Two more chains are required on the outside tires of the second drive axle. You have options on the placement of the two more required chains on the trailer axles. Chains can be placed on the outside of either axle or staggered with one chain on the outside of each axle. Remember, while not typically required, CalTrans can require chains on the inside duals if conditions are bad enough. Interstate 5 north of Redding; Interstate 80 over Donner Pass between Sacramento and Reno, NV. U.S. Highway 50 over Echo Summit between Lake Tahoe and Sacramento. State Route 58 near Tehachapi between Bakersfield and Mojave. Interstate 15 over Cajon Pass between Victorville and San Bernardino. Interstate 5 over Tejon Pass between Los Angeles and Bakersfield. Unseasonable snow fall can occur at higher elevations at many locations within CA. Chains may be required at any time at these higher elevations when conditions warrant. Placement: If the alert is in effect, you will have to chain up a minimum of one tire on each side of drive axles and one axle at or near the rear of each trailer. Idaho defines chains as two circular metal loops, one on each side of the tire, connected by not less than nine evenly spaced chains across the tread. Studs are prohibited between May 1 and Sept. 30. The chain law goes into effect when roadside signs tell all drivers to chain up. Placement: The state’s requirement when the law is in effect is for all “driver wheels” to be chained up. There aren’t specific dates for chain laws to go into effect. Roadside signs will let you know when chaining up is required. Placement: there are a different rules for which tires you are required to chain on the tractor depending on the equipment type: a tandem-drive axle tractor must have chains on two tires on each side of the primary drive axle (all four tires of the main axle); or If both axles are powered, one tire on each side of each drive axle (four chains total required; but you don’t have to chain the inside tires). For the trailer, chains must also be placed on two tires, one on each side, of any axle on the trailer. Chains must be opposite one another, instead of staggered from a front axle to the back; this will prevent stability issues on empty trailers. Chains must be carried Nov. 1 through April 1. It takes five chains to comply with the requirement. However, all vehicles of more than 10,000 pounds gross vehicle weight must carry two extra chains in the event that road conditions require the use of more chains or if chains in use are broken or otherwise useless. Chains must have two sides attached with cross-sections. Cables can be permitted. Plastic chains are prohibited. Placement: On a dual axle tractor, the outside tires on both axles will need to be chained in addition to one tire on either side of either trailer axle. Tractors equipped with wide-base singles will have to chain each tire on each drive axle. Signs in WY will notify you of when the chain law is in effect. Placement: When Wyoming officials enact the chain law, commercial vehicles must have chains on at least the two outside tires of one drive axle.